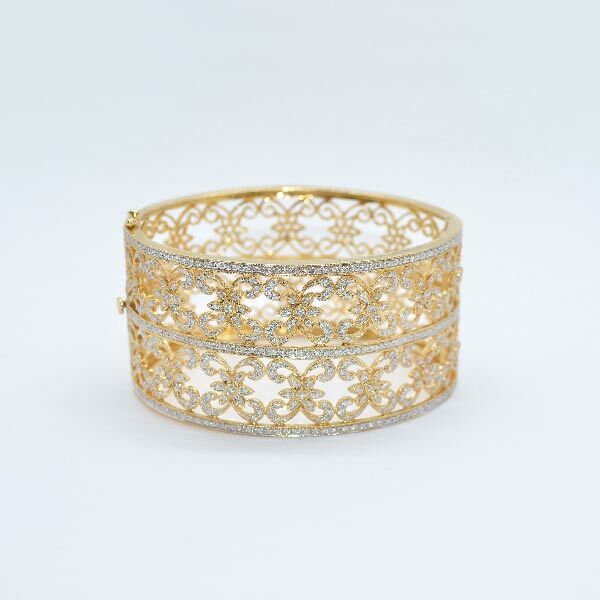 Fancy Diamond Bangle in 14k yellow gold. Diamonds 3.63 ct. Stunning design.